With its curved, sculptured lines. vertical decorative lines and stunning Roman Cream marble countertop, the Udine Collection is the embodiment of transitional design at its best. You'll delight in the interior storage drawers, complete with effortless soft-closing, European hardware. The crowning touch. A rich Walnut veneer finish protected by several coats of polyurethane gives the collection that final touch of class and elegance. 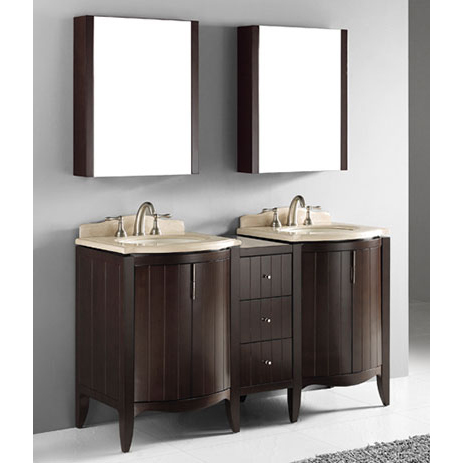 Category: Vanities. Tags: Madeli, Vanities.